What is the difference between nanoweb and polyweb? In the world of guitars, these two complex jargons are seemingly eluded by many players. It is not common that you can hear people are talking about it. But it doesn't mean that these concepts are not important. That's why in this article, we will highlight the battle of nanoweb vs. polyweb. Nanoweb vs. Polyweb: What are they? Guitar enthusiasts are particularly keen to the sound output of their instruments. A slight change in the sound characteristic and they would immediately find ways to troubleshoot the problem. For pros, this is an easy task. But for amateurs, it might be a lot difficult. Therefore, there is no other way of fixing sound issues but to familiarize the instrument itself. So, how do you ensure the tone quality of your guitar? The answer is simple: by looking at the strings. Of course, it is undeniable that the most vital part of a ﻿﻿guitar is ﻿the strin﻿gs﻿﻿. Without them, there are no means for you to produce any sound at all. More than the quality of the tone wood, the proficiency of the strings must be regarded with the highest priority. You can see a plethora of guitar string brands in the market today. Moreover, their price varies, too. Depending on your expertise, you could choose professional-grade strings. But if you are an amateur, there is nothing wrong with opting entry-value sets. Among these brands, you should always consider Elixir strings first. This company is among the top producers of high-quality guitar strings. Specifically, their strings are durable and are not susceptible from wear-and-tear. Apparently, Elixir prides two types of strings: the nanoweb and the polyweb. 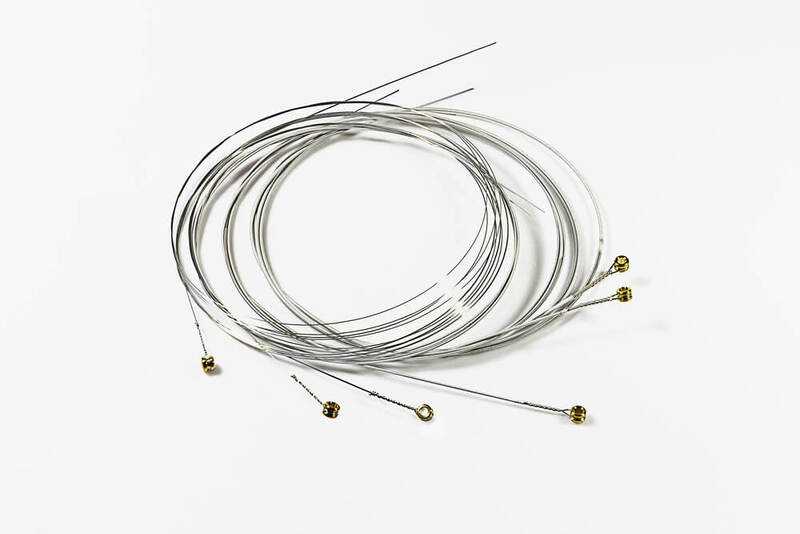 Each of these strings can really enhance the performance of your instrument. There is nothing to doubt about that. However, the biggest question here is which of these two strings suits you. Is the nanoweb strings better for you? Or is it the other way around? Let us find out. The actual difference between nanoweb strings and polyweb strings is the "flavoring" of their protective coats. These two types of strings have unique coatings that serve as their protection against damages. As a result, their tone life increases, too. In fact, we deem that Elixir strings have the highest tone life on the market today. Take note that these particular innovations have patents. Therefore, it is only the Elixir brand that produces them as of now. As we mentioned, the difference between polyweb and nanoweb strings is their flavoring. Specifically, it pertains to the kind of tone and "feel" they can generate. Either of these two can really affect your playing style. Therefore, you should be meticulous in choosing which of the two will work best for you. Nanoweb strings have a thin coating. In fact, the coating is so thin that you can even notice it. You might even assume that there is no coating at all! Because of this type of scheme, nanoweb strings can make brighter sounds compared to its counterpart. Moreover, the moderate amount of coating allows it to produce an authentic traditional guitar sound. If you are into lively genres, such type of string is the perfect choice for you. Meanwhile, it is obvious that polyweb strings have a thick coating. Of course, the sound it produces is not as bright as nanoweb strings. Because of the additional layer, polyweb strings are relatively heavy. In concept, thicker strings are less prone to vibration. As a result, you need to apply more strong vibrations to produce same sounds consecutively. Overall, nanoweb strings are easier to play with compared to polyweb strings. You can make any desired sounds even if you are just applying minimal motions. On the flip side, polyweb strings work perfectly for the genres of pop, rock, and hard metal. Moreover, it is important to note than thin strings like nanoweb are not always the best choice. Those who are into fast-paced genres must have strings that can endure simultaneous application of heavy hand motion. If you use thin strings on genres like metal, they would snap and break easily. Also, polyweb strings last longer compared to their nanoweb strings because of their thickness. The choice of guitar strings depends on the type of guitar that you have. For example, if you have an electric guitar, the industry will recommend the use of the nickel wound. Specifically, you might want to try the 10-46 gauge. This string set is the currently the most popular today. Meanwhile, acoustic ﻿﻿guitar ﻿﻿﻿﻿play﻿﻿ers﻿﻿ would love to have nylon or steel string on their instrument. If you are craving for thicker tone, pick thicker strings, too. Of course, you should do the opposite if you want an easy-to-play string. For those who are into folk songs, we highly recommend the use of ball-end nylon strings. This type of string is quite heavy than the ordinary nylon string. But because of that, it can withstand powerful strums anytime of the day. 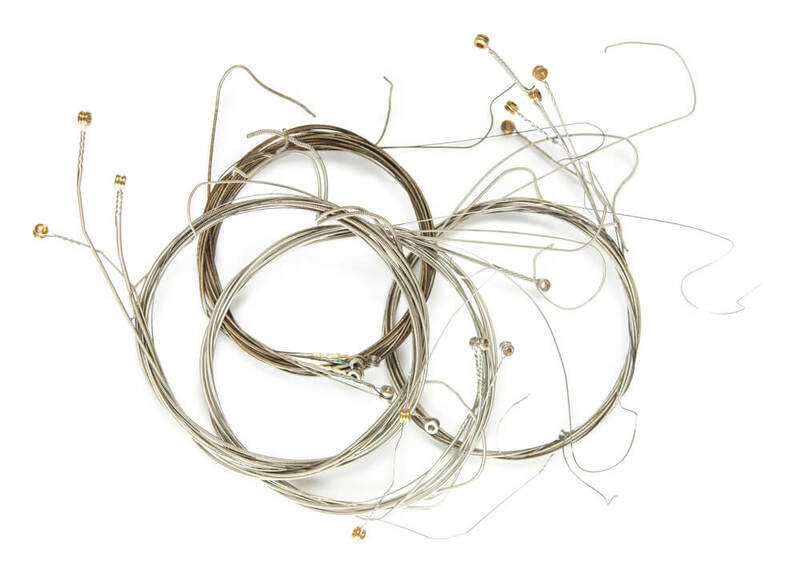 If you have strong and durable fingers, you should try Monel strings. Specifically, the latter is a metal string. They can produce louder and sharper tone compared to nylon. Moreover, it has varying thickness, depending on the set that you want to purchase. For beginners, we recommend the use of light to medium-light gauge. The battle of nanoweb vs. polyweb strings is still on-going. However, you can already decide now which of these two is the winner. We already mentioned their respective characteristics. Depending on your playing preference, you can choose either of these two strings. For beginners, we suggest the use of nanoweb strings. But for those who have tough fingers already, polyweb strings are the ideal choice. Did you learn from this article? You can discover other valuable tips and resources about the music world on this site! Also, do not forget to share this article to your social media accounts! Do you have any comments, questions, and suggestions? Share us your thoughts in the box below!